Wondering how to achieve ketosis on the ketogenic diet? This article will give you 5 easy ways that will make getting into ketosis quick. Achieve your weight loss goals on the keto diet by learning how to put your body into ketosis the right way and stay there. If you’re on the keto diet then your ultimate goal is to maintain a state of ketosis as much as possible. How to put your body into ketosis? You’ll be surprised to learn that there are a number of ways. Is there medical legitimacy to getting into ketosis? What Makes a Diet “Keto” and Not Just Low-Carb? Fiber works in your favor on the keto diet. Ketosis is a process that the body goes through to use fat as an energy source instead of sugar from carbohydrates. Your muscles and heart can use fat as an energy source just fine, in fact, it loves the stuff. Your brain however needs to process fat into ketones before it can be used as an energy source. Ketones are made through the process of getting into ketosis. So by putting your body into a state of ketosis, you’re essentially turning your body into a fat-burning machine instead of a fat-storing machine that most of us are used to being. Hello sustained weight loss with a keto diet meal plan! I may have made the above process of ketosis induction sound easy peasy. Not so fast. You have been using sugar and carbs as an energy source all of your life. Your blood sugar levels are elevated and your glycogen stores are visible in your waist. Asking your body to switch over to using fat isn’t as easy as flipping a switch. It can be a daunting process and takes a few days to take effect. In fact, while your body is reducing its carb intake and making this switch, you may even begin to experience flu-like symptoms lovingly known as the keto flu. The bright side of all this is that your body loves using fat even more as an energy source than it does sugar. Your energy levels and mental clarity will be through the roof and you’ll be losing weight quickly and naturally. Sounds too good to be true? Give it a try for yourself to see. Before we look the fastest way to get into ketosis, here’s a little more about the keto diet so you can jumpstart ketosis. 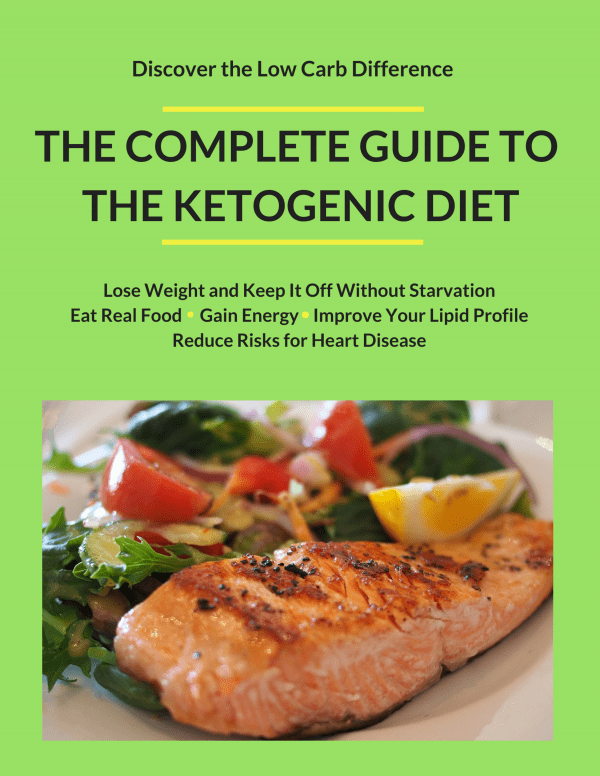 The ketogenic diet is an extremely low carbohydrate diet that is meant to induce a state of ketosis by raising your blood ketone levels and reducing your glycogen stores. Ketosis requires that 75% of your daily calorie intake come from fat. The rest of your caloric intake for the day would be 20% protein and 5% carbohydrates. With the average person consuming 2,500 calories per day, if they were following the ketogenic diet they would ingest about 30g of carbs. This state of ketogenesis, or fat-as-fuel for your body to run on, can be compared to the same “starvation” mode your body goes into when you have deprived yourself of necessary food-for-fuel in a timely fashion– although it’s not exactly the same. In that state, because there are no food-based calories for your body to use up as energy, your body takes its needed energy from fat cells. Once the fat has been depleted, energy is obtained from lean tissue and muscle – hence, starvation in effect. Again, this is not quite the same as being in ketosis, but the concept should help make things clearer. While in a state of ketosis, your body also takes its energy from fat cells, hence it is literally burning fat, rather than running on carbohydrate energy which is what it does on the typical American, carb-loaded diet. Another metabolic side effect of being in a state of ketosis is that your insulin levels drop dramatically because your body is no longer processing glucose or sugar. This is a desired state for diabetic people in particular. With the ketogenic diet, you’re giving your pancreas a needed rest, and this could be life-changing for many people as they re-learn what constitutes a reasonable serving size of carbohydrates. Some doctors recommend the ketogenic diet for people with certain conditions such as diabetes and obesity. This diet works for these health conditions because it cuts out the pancreas’ daily workload of having to produce insulin to help the body digest carbohydrates. Fascinatingly, this diet was founded upon aiding seizure disorders such as epilepsy which can often be controlled as a result of the body remaining in a permanent state of ketosis. Many people who experience brain seizures have been able to prevent their seizures from happening while following a strict ketogenic diet. The ketogenic diet severely restricts carbohydrates while increasing fat intake in both animal and plant form. Pasta, potatoes, corn, starchy root vegetables such as potatoes, beets, and carrots, and most fruits, which are naturally high in carbohydrates and sugars, will quickly send the keto dieter soaring over the allowed limit of 20-60 grams of carbohydrates per day. These foods are therefore not advised to be consumed if you wish to maintain the metabolic state of ketosis, or elevated ketones produced by the liver while the body is in “fat burning for fuel” mode. In order to keep your calorie consumption to the allotted 75% fat, 25% protein, 5% carbs that will get into ketosis fast and maintain the desired state of ketogenesis, you must consume foods that are high in healthy fats, to be consumed as the main course with every meal. Bacon, sausage, pork roll, salami and other fatty meats. Please note that the quality of the meat, fish, or other protein consumed will make the difference for keto-dieters. When at all possible, try to choose meats that come from farm-raised, grass fed animals. If your finances allow for it, go for organic or minimal pesticides and try to avoid genetically modified foods. The foods you consume while trying to put your body in ketosis should be minimally processed and not contain high amounts of sugar, MSG or preservatives. Fatty/oily fish. The best fish to eat on the ketogenic diet are deep-sea fish such as salmon and tuna, sardines, mackerel, and lake trout. Cheese. Cheese is a nutritious and delicious, high-fat food that you can add freely to all of your keto-friendly meals. Think cheese omelets, quiches, cheese-topped salads and veggies, or even a keto-friendly cheesecake made with a keto-friendly sugar substitute such as Swerve. Not all cheeses are created keto-equal, so be prepared to study labels and do comparisons for going with one particular cheese over another or follow strict keto-approved recipes. High-fat dairy, such as cream, butter, full-fat sour cream, full-fat cream cheese, and aged cheeses. Eggs. In the past, eggs were eschewed by so-called health advisors, but today’s eggs-perts are singing a different tune. The ketogenic diet encourages daily consumption of eggs and does not cap off at 2 per day which is what you may have heard in the past. As with all foods, spring for eggs that come from local, farm-raised chickens which are free to roam outdoors and live on grass and bugs. The eggs you eat will be far more nutritious than those coming from mass-produced feed lot animals who are often deprived of a proper diet, sunlight and live in crowded and disease-ridden conditions. Nuts and seeds, also olives. A great choice of healthy fats: nuts and seeds. Think peanuts, walnuts, pecans, sunflowers, macadamias and more. Nut oils, olive oil, and nut butters can be used in salads, spreads and smoothies, as well as for nourishing snacks and lunches. Coconut, in particular, offers myriad health benefits. Not only can you enjoy the good fats that come from the coconut meat and milk, but coconut water is rich in minerals and electrolytes which will need replenishment as you’ll be missing them from the fruits that you are not permitted to eat while on this diet. Please note that coconut oil is one of the few plant-based oils that is technically saturated fat. This means its smoke point is high, so it won’t scorch when heated and can be safely used for cooking. 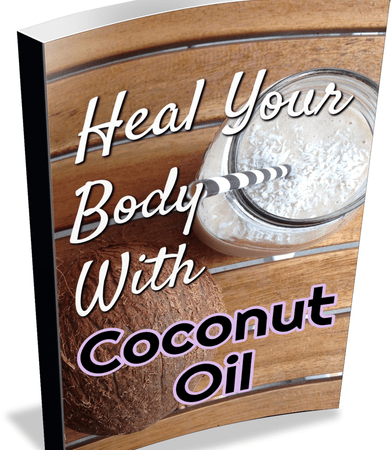 Coconut oil also provides MCTs which are very beneficial to those entering ketosis. Other oils that come from nuts and seeds, such as extra virgin olive oil and sesame oil, should be left unheated, and instead drizzled on food that is either uncooked, or has already been cooked and removed from the heat. Heat will cause free radicals to form in these types of polyunsaturated oils, and therefore their benefits are best enjoyed if not exposed to cooking heat. Avocado is another pro-keto choice which offers amazing health benefits while at the same time being high-fat and therefore desirable on this diet. Not only does avocado make for a great side dish or spread, but it blends well into smoothies, dips and dressings. Avocado can even be worked into keto-friendly treats made from Swerve or another keto-safe non-sugar sweetener. Low-carb vegetables such as leafy greens and cruciferous veggies. Broccoli, spinach, kale, Swiss chard, asparagus and other greens are a mainstay of the ketogenic diet. With all of the fat consumption, your body will need vitamins and minerals in steady supply, plus roughage to help with digestion. Green vegetables will deliver a fiber-rich boost of nutrition and free-radical fighting antioxidants. Acidic, low-sugar fruits such as tomatoes, lemons, limes and cranberries – also vinegar. These will be key to helping your body process the high amounts of fat that you’ll be ingesting on the ketogenic diet. You may even find yourself craving a glass of water with lemon or lime, or you may look forward to having tart cranberries sprinkled atop your green salad with a splash of olive oil for heart-health. It’s especially important for your ketogenic food choices to come from as pure and natural a source as possible. This is because fat attracts toxins. So if you plan to eat fatty foods, they should be as healthy as possible otherwise you may be inviting disease. In addition to limiting your carbohydrate intake to anywhere from 20 to 50 grams per day, to follow the ketogenic diet you must consume a set ratio of fats to proteins. This is very important, so read on for details. One neat feature of the keto diet is that the more fibrous the carbohydrate, the few carbs you “net” after a serving. To calculate this, simply subtract the fiber count from the carb count in a single serving of carbohydrate. You can read more on this in starting keto diet. One little-known fact about protein consumption is that it generates glucose in the body. This is the reason protein is restricted while on the ketogenic diet, the purpose of which is to minimize glucose metabolism so that the body will be forced to convert consumed fat into energy. Ketogenic dieters should NOT eat unlimited proteins, as doing so puts stress on the kidneys. For some people, doing so can send the body into a metabolic state called ketoacidosis, which, if left untreated, can lead to death. Despite this concern, ketosis and ketoacidosis are NOT the same, and low-carb diets are generally safe for the majority of people. If you are diabetic or have any other health concerns, speak with your doctor before starting this or any other diet plan. Fasting is the first way of achieving ketosis. If you completely stop eating altogether then your body will naturally start to use what it can for energy. Your fat stores will be the first thing to go and you will get into ketosis fast. This happens after about 36-48 hours. Eventually however, unless you want to die, you’ll want to start eating again. You can try to do a water fast for 3 days to put your body into ketosis and then ease into a ketogenic diet after to sustain the state of ketosis. 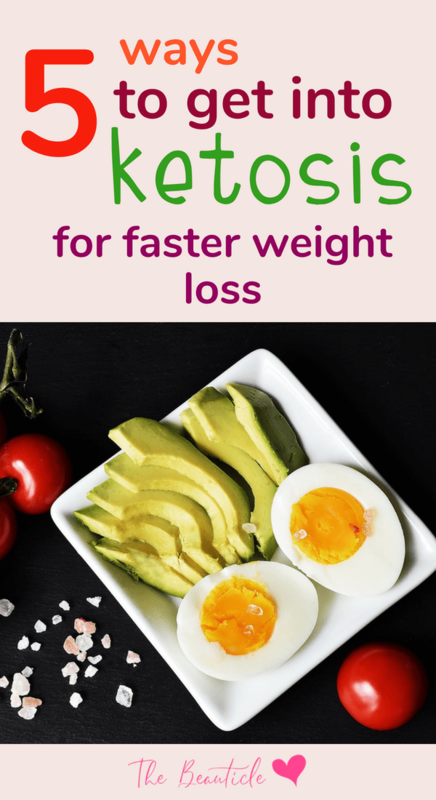 Another method of ketosis fasting is consuming an egg diet for three days. If you can stomach eating eggs for every meal for the first three days of the keto diet, you will achieve ketosis quickly. If the idea of going without food for 3 – 4 days doesn’t sound like too much fun, you can try intermittent fasting to get into ketosis. If you’re choosing to eat only within a specific window of time, the window is generally 8 hours. That means you’re eating between 12pm – 8pm each day, skipping breakfast or 8am – 4pm skipping dinner. You can also eat between 10am – 6pm for a more comfortable approach. The 16 hours remaining is enough to get into ketosis fast and start burning fat for fuel. This is also possible by skipping meals altogether for a day or two per week. Tired of the same meals on the Keto diet? You need this. The keto diet is the best answer to how to go into ketosis fast. Remember, you’re teaching your body to use fat as a fuel source and not the sugar from carbs. Therefore, if you starve yourself from carbohydrates and eat a high level of fat, you will also be inducing ketosis without actually feeling like you’re starving. This is because you’re still eating lots of calories, just not from carbs. 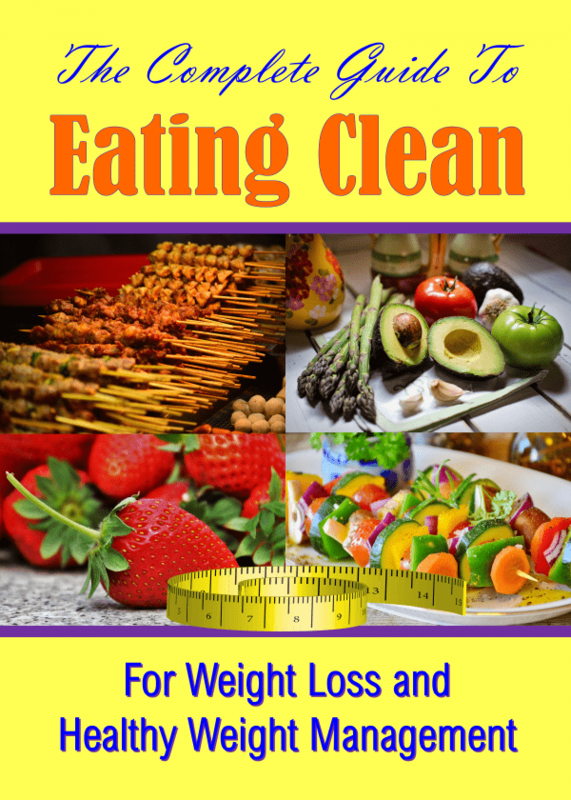 You can read more about how the body sheds weight without you feeling like you’re starving when you’re on a keto diet by clicking that link. For a beginner’s guide to starting a keto diet, click here. The keto diet also causes the body to develop an insulin resistance which means you’re no longer storing fat. We’ve trained our minds to believe that fat is a bad thing but fat is only bad when it’s mixed with carb consumption. When you’re body is in a state of ketosis, there’s no string of fat. Excess fat is ushered out of the body along with a host of other benefits. The third and final answer to your question of how to put your body into ketosis is by using supplements known as exogenous ketones. The research on these supplement are still in early phases and their effect on your body if you’re on a regular diet that includes carbs is not known. They were developed to help patients with chronic illnesses who found it difficult to follow a keto diet. I would suggest that you only use these supplements when just getting started with a keto diet or if you detoured from your diet and need to get back into ketosis quickly after a carby meal. You can test if you’re in a state of ketosis or not by using these test strips. Don’t slack on the fat consumption. Remember, on the keto iet you’re not eating carbs. This means that you;re now using fat as a source of energy and so will need to consume lots of it. As always, the quality of your ingredients matter. Choose healthy fats like lots of avocado, coconut oil and all-natural butter to consume. Definitely pick up a bottle of MCT Oil aka Brain Oil to add to your morning coffee, tea or perhaps salad dressing. You can read about the benefits of this brain oil here and why it’s essential to your keto success. Also, be sure to increase your activity levels. Whether that’s rigorous gym activity or introducing some yoga into your day, adding exercise to the keto diet speeds up the process of getting into ketosis and aids in weight loss. You’ll also find that the ketosis diet supports physical activity well and your endurance for exercise will increase. I am so excited to get info. on Keto. At this moment I’m very discouraged… been doing keto for 3weeks now and I’ve omly lost 4 lbs and some inches! I eat less than 30 carbs and still struggling to lose! If you are still eating extremely high calories with little or no exercise, and if you are over 20 carbs per day you will not lose as fast. You are still losing and thats worth celebrating!!! If you were gaining I would be concerned, but you ARE losing. Yay!! !